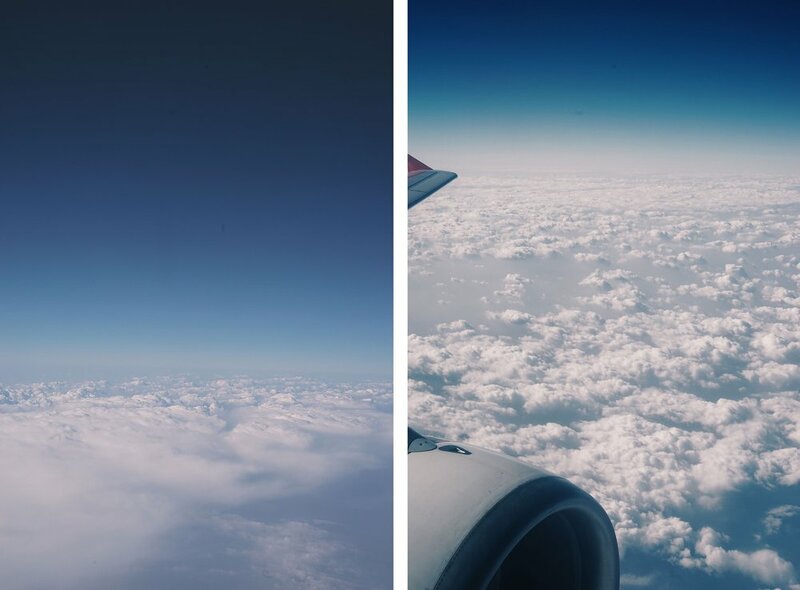 First ever airplane ride, first ever trip to an overseas country, first ever trip to wander alone and a whole lot more — I had experience a lot of firsts on this trip so without a doubt, this trip would go down on my list as one of the most memorable. First and foremost, I’d seriously like to thank Etude House Philippines for giving me this wonderful opportunity! I was one of the lucky winners to win their #EHMakeUpUpAndAway2 and I couldn’t be more thankful! I was kind of scared and excited at the thought of riding an airplane for the first time but it wasn’t so bad. sure, I got dizzy but the view was worth it! 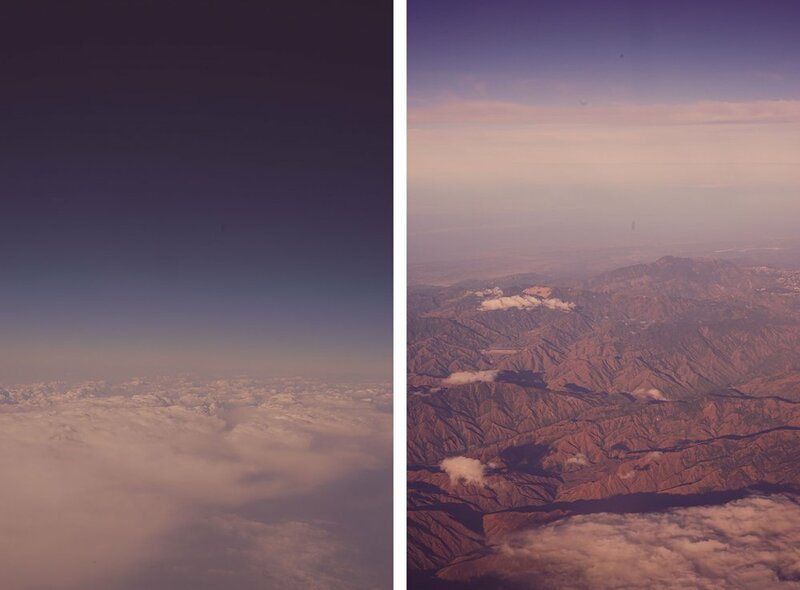 Amazing view from the window seat. Of course, I’d take a lot of photos because this is my first time haha! After the 3-hour airplane ride, we finally landed in Incheon Airport. 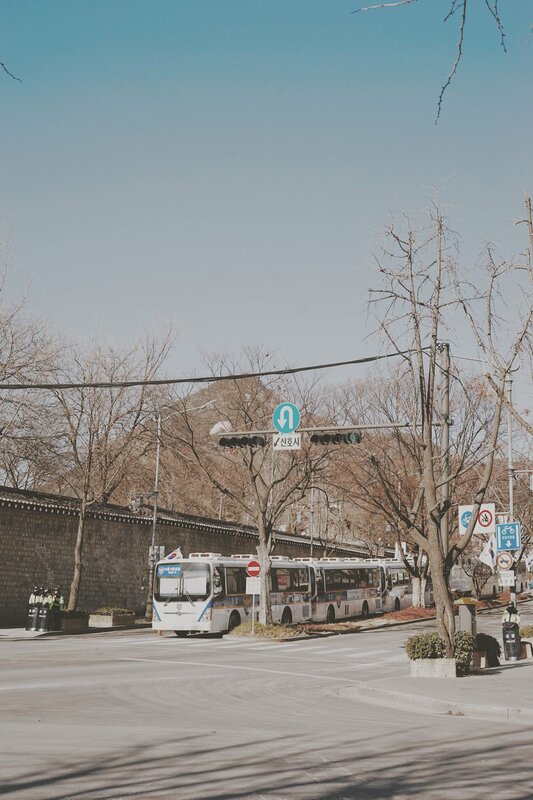 We didn’t feel the cold inside the airport because of the heaters but oh boy, when we exited the airport and went outside to ride the airport limousine bus that will take us directly to Myeongdong, I regretted underestimating winter in Seoul. 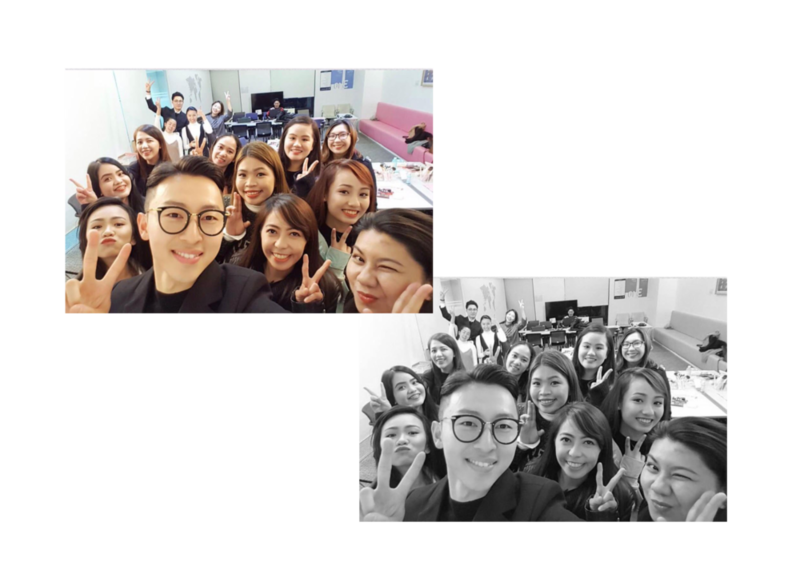 Group photo with Dave Kim. Find me! 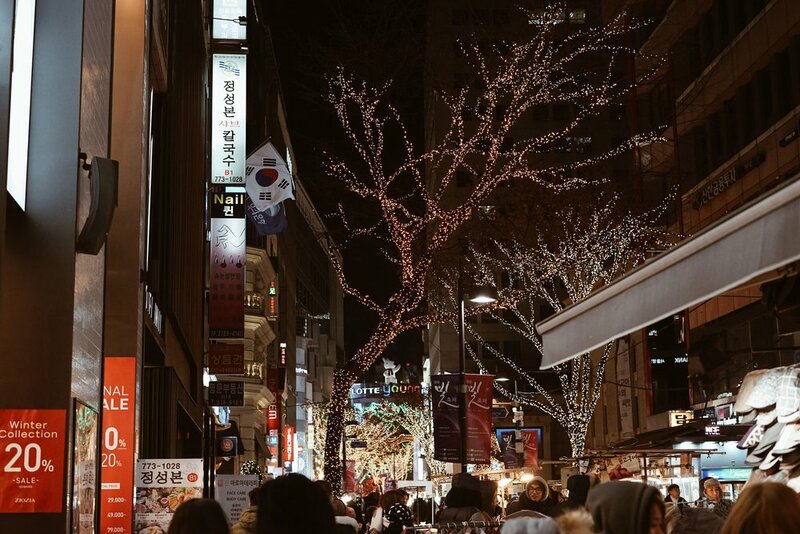 After the workshop, we went for dinner and decided to explore Myeongdong and shop. 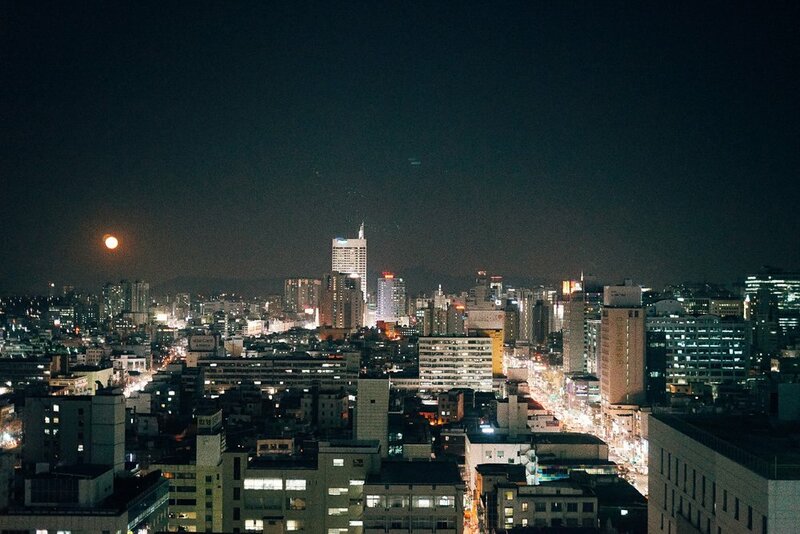 Myeongdong seriously comes alive at night! I loved how they decorated the leafless trees with Christmas lights. Spot Lotte Young Plaza! 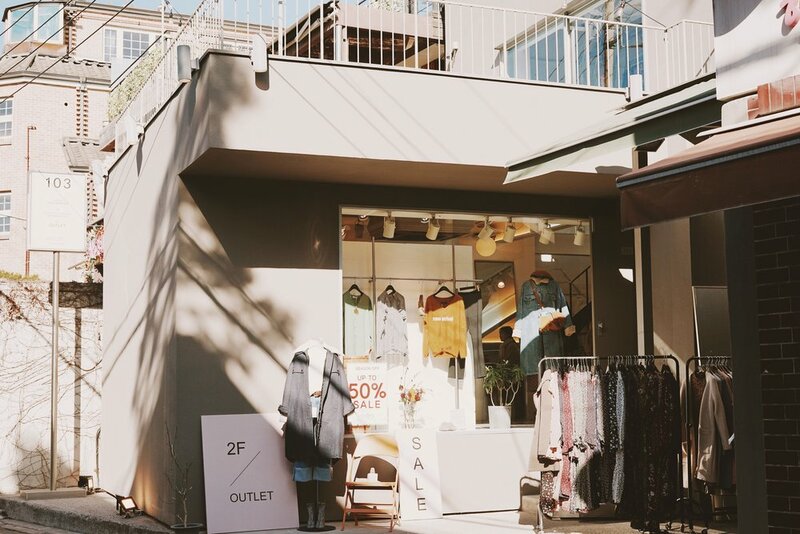 It’s a must visit since it’s full of amazing brands. All the Korean make-up brands. 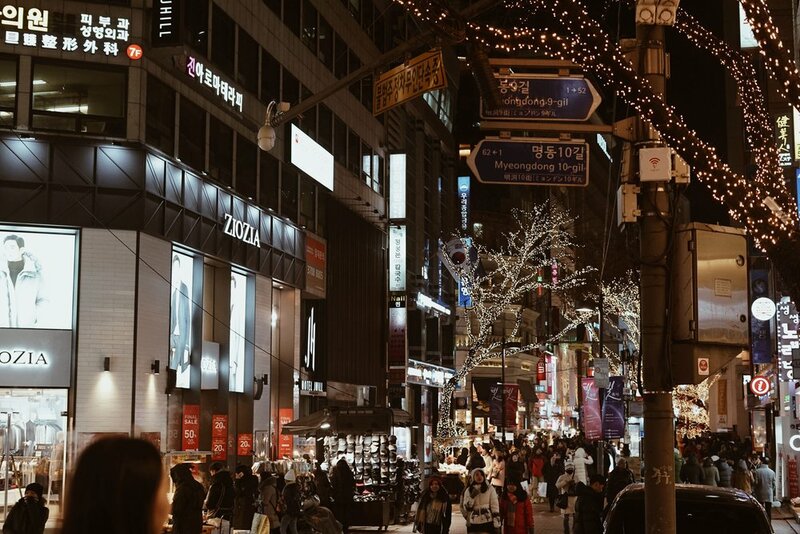 I apologize for the lack of photos I have of Myeongdong’s shopping district. I was too pre-occupied on shopping that I forgot to take photos (hehe!). Myeongdong was seriously a paradise for me because I really love Korean cosmetics. 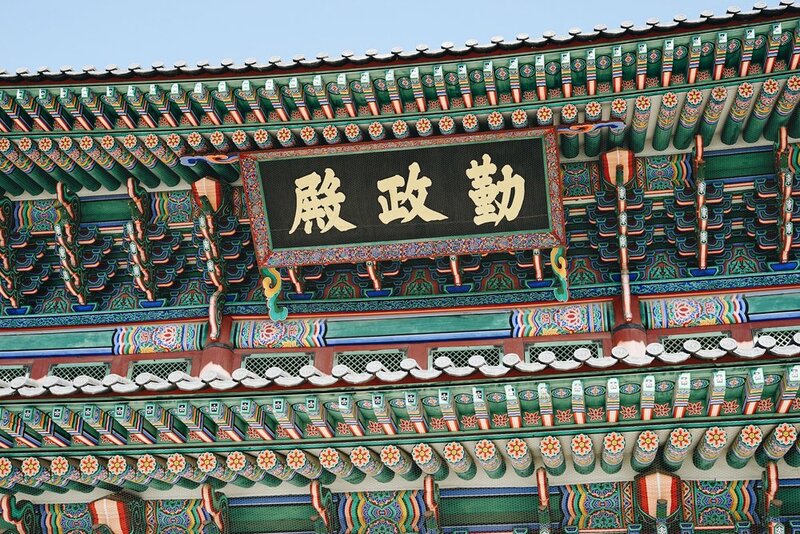 If a person tells you that a single brand has like two or more shops in Myeongdong, they’re not kidding. 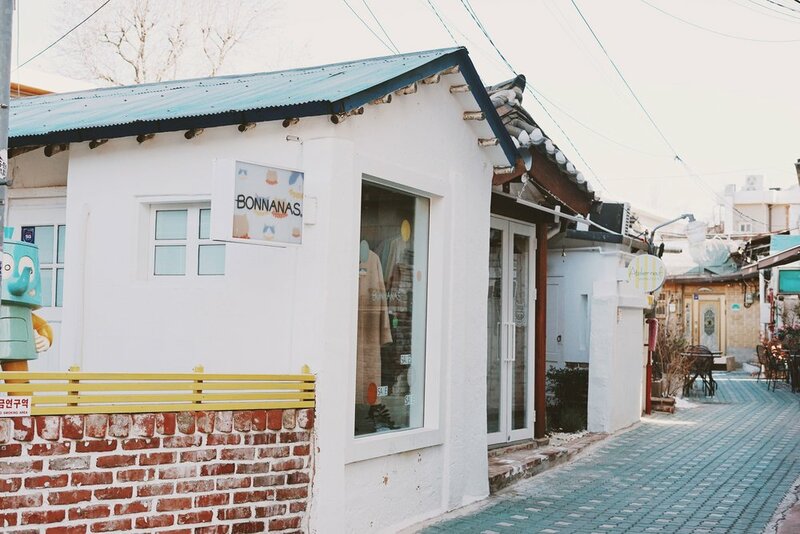 I actually spotted two shops of Etude House in this area! 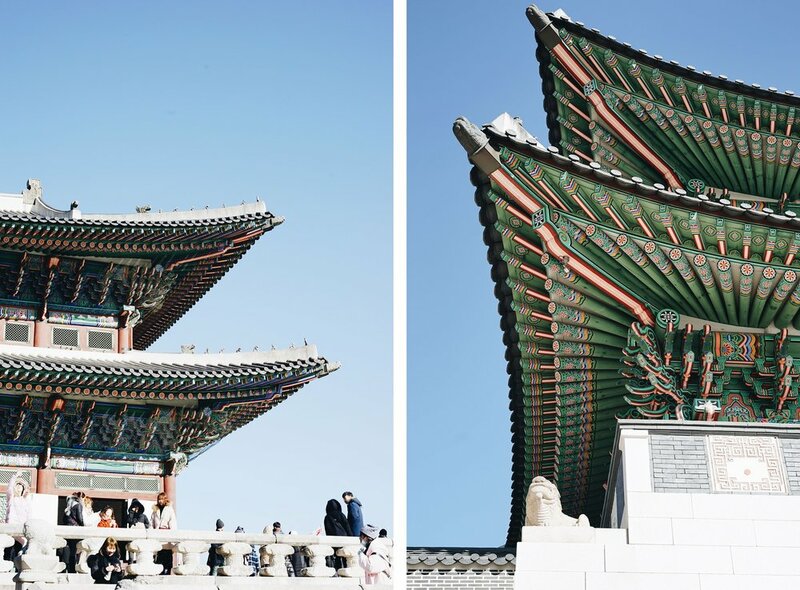 On the second day, me and two other winners, Camille and Jewel decided to go around Seoul by ourselves. 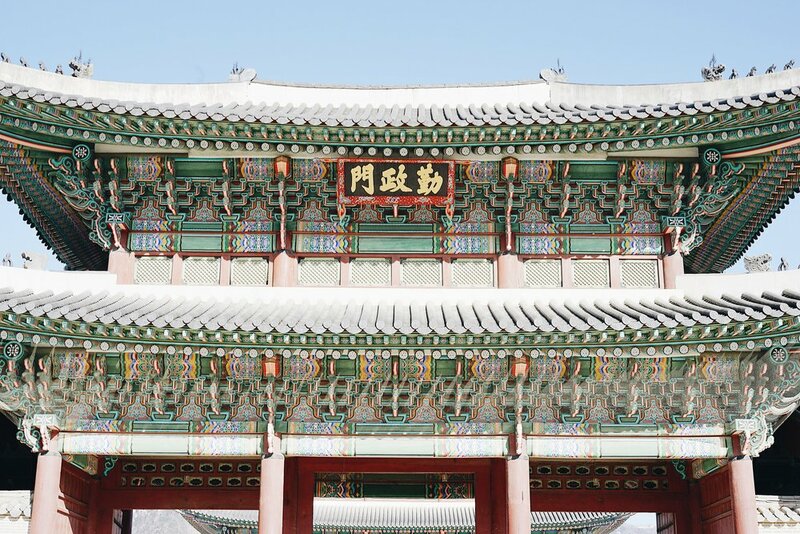 The first place that was on our itinerary list was Gyeongbokgung Palace. 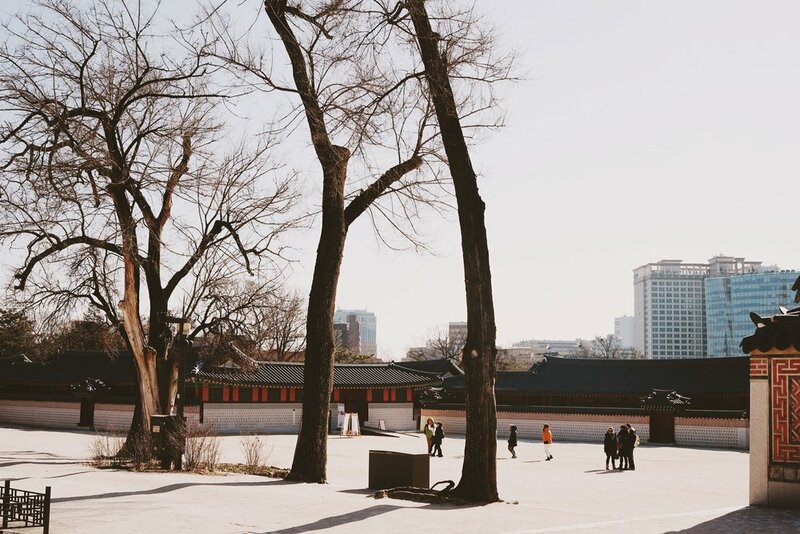 When we arrived at Gyeongbokgung station, we decided to ask for a free tour around Gyeongbokgung Palace. Our lovely tour guide was Amy. She’s really friendly and nice! Literally took my breath away! I’m seriously so in love with the details of this place. We were lucky enough to catch the changing of the guards. 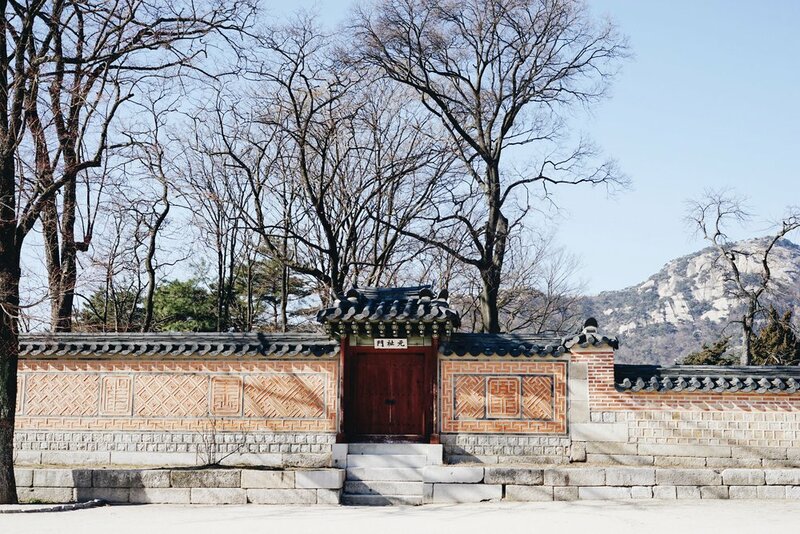 There’s this open space at the back of the palace where the Blue House (청와대 Cheong Wa Dae) can be seen. 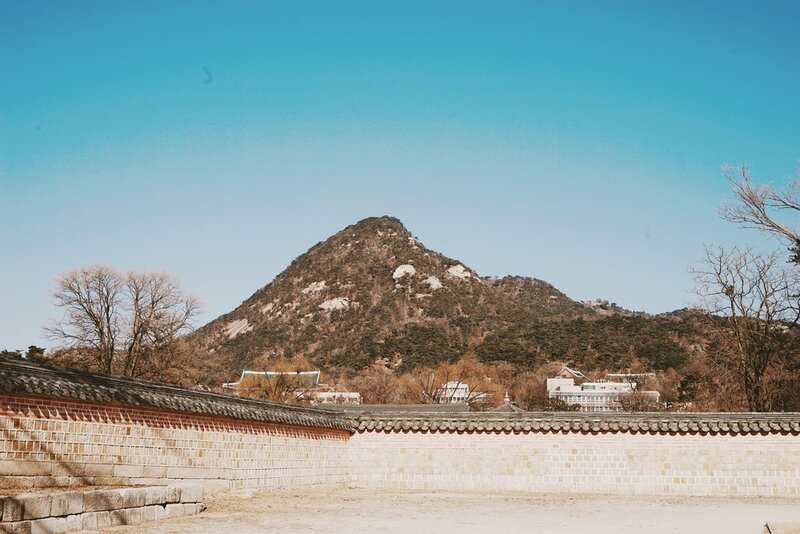 After Gyeongbokgung palace, we decided to visit Bukcheon Hanok Village. 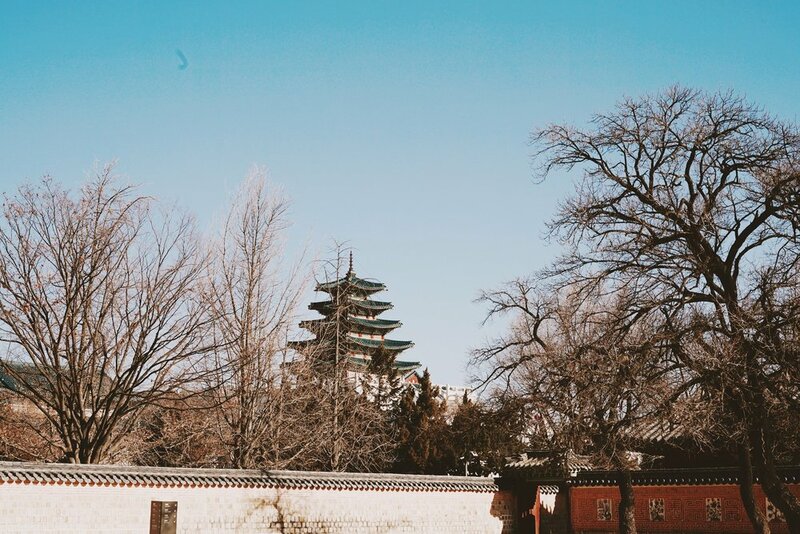 Due to laziness, we didn’t push through with the plan to go to Bukcheon Hanok Village lmao so we decided to just roam around the area since we spotted an area where they were a lot of shops and a few galleries. Love the concept of this shop! Lunch + that good winter lighting. 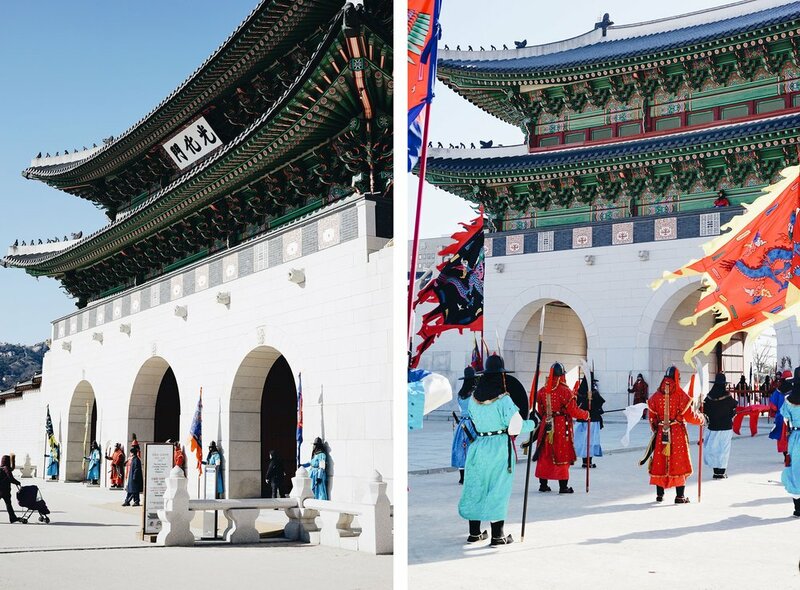 It may look warm in Seoul based on the photos but trust me, it was really cold! the temperature when we were there if I remember correctly, was -11 celsius. 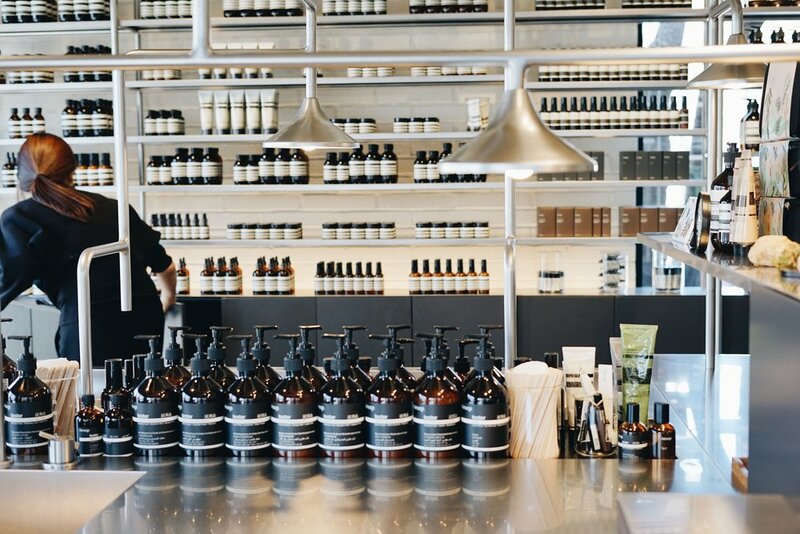 I seriously fangirled when I saw Aēsop’s shop sign! I didn’t expect find a branch here in Samcheong-dong. I fell in love the moment I entered inside.